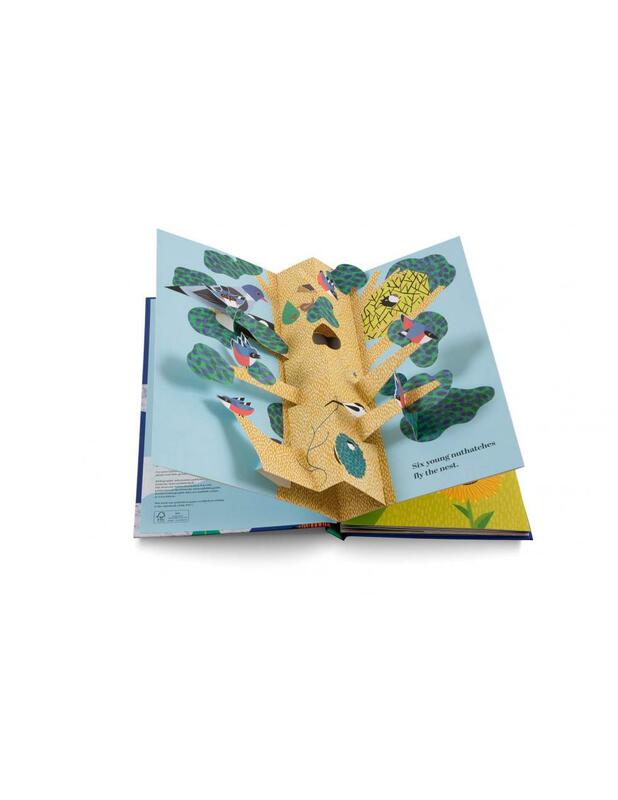 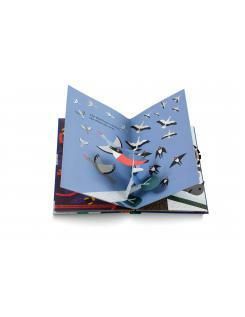 A magical, rhyming pop-up book tells the story of six little birds. What do six little birds do once they've learned to fly? 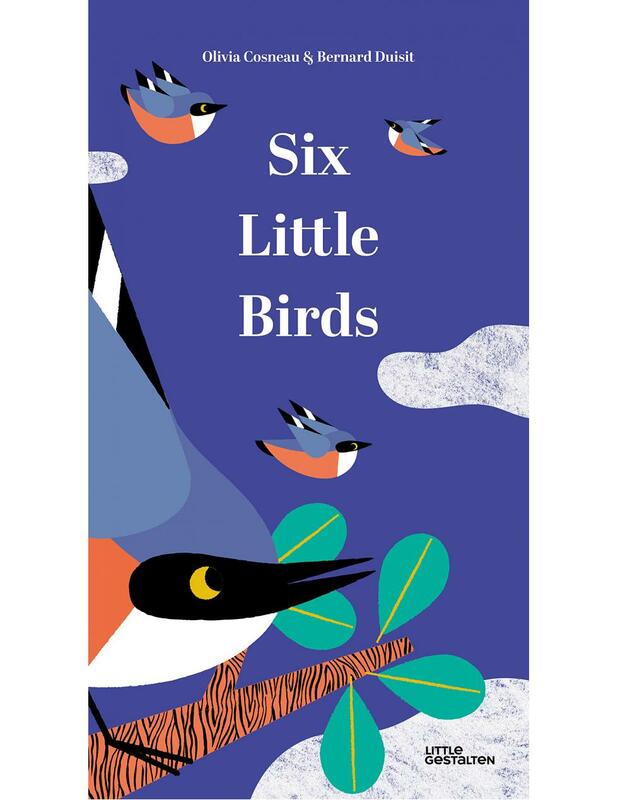 One bird nibbles on a sunflower, another flies dangerously close to a hawk, and one little bird says goodbye to all of the birds who are flying south. 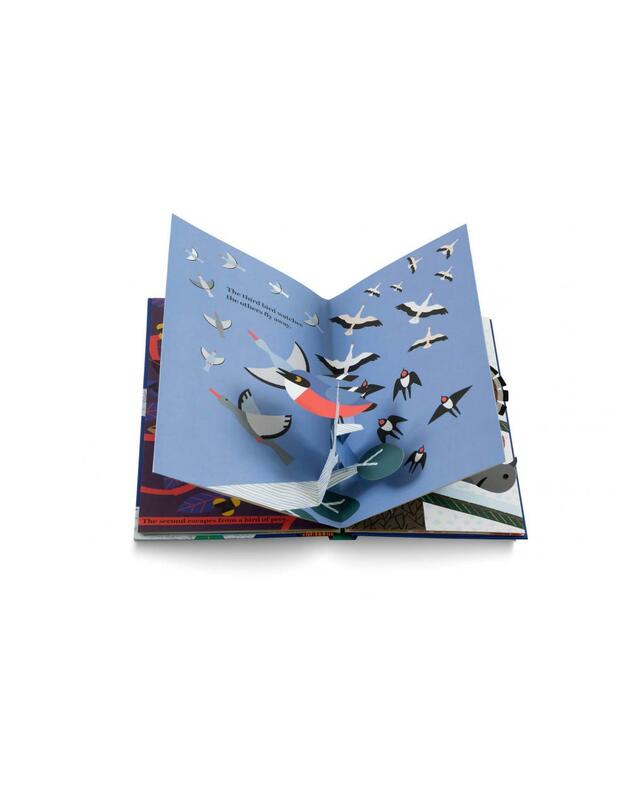 During winter, another little bird meets some new friends, and finally, the the story finishes in the spring in a full circle, right where it all began. 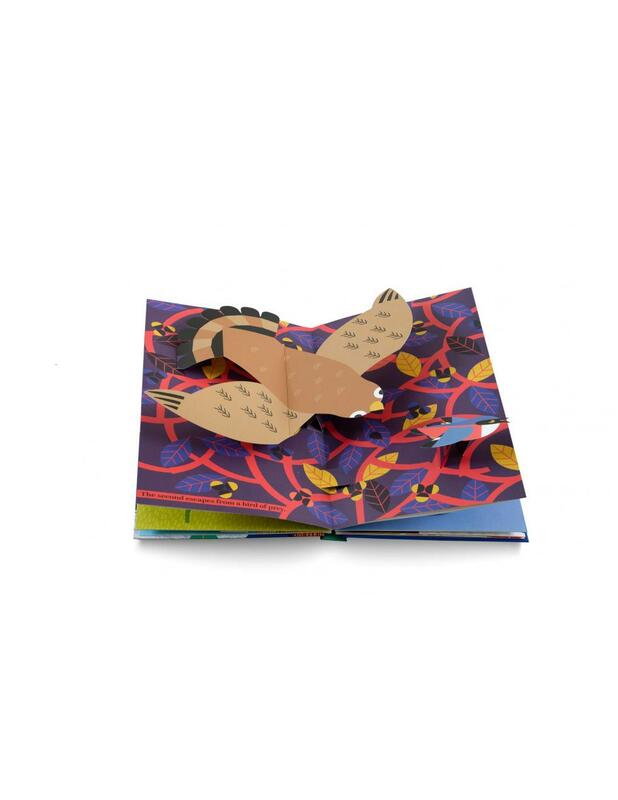 Simple rhymes and colorful illustrations make Six Little Birds a charming pop-up for small children. The book gives children counting skills, and it teaches them about the four seasons, nature and the cycle of life.